William Morrow Paperbacks, 9780062883698, 368pp. Haley Hanson’s idea of the perfect Christmas is escaping to the Caribbean to work so she can avoid all the traditional Christmas distractions. Over the years, she’s sacrificed her personal life to climb the corporate ladder at a prestigious Boston advertising agency. Now she just needs to land a coveted Christmas toy company account to make partner. But first her boss thinks she needs a holiday attitude adjustment and ships her off to a Christmas Camp at Holly Peak Inn to help her find her Christmas spirit. 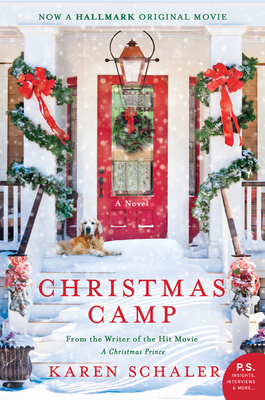 The sequel, CHRISTMAS CAMP WEDDING, a novella, is available now!